Amazon has got the Spode Matzoh Platter for $30.75 with free Prime shipping. The blue and white color references both history and symbolism, as it is consistent with the colors of the flag of Israel and is based on the signature Spode transferware technique famous in the ceramic industry since the 18th century. 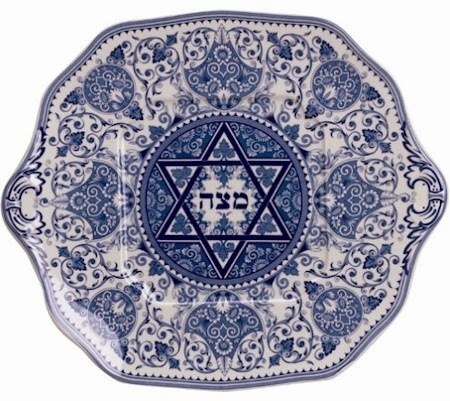 The Matzoh Tray by Spode will make a memorable gift for a friend or family member. The Spode design is unlike any other Judaica product in the market, and highly collectible. Made of high-quality earthenware and is dishwasher safe. Matzoh Plate is 11-1/4-inches length by 9-1/2-inches width.